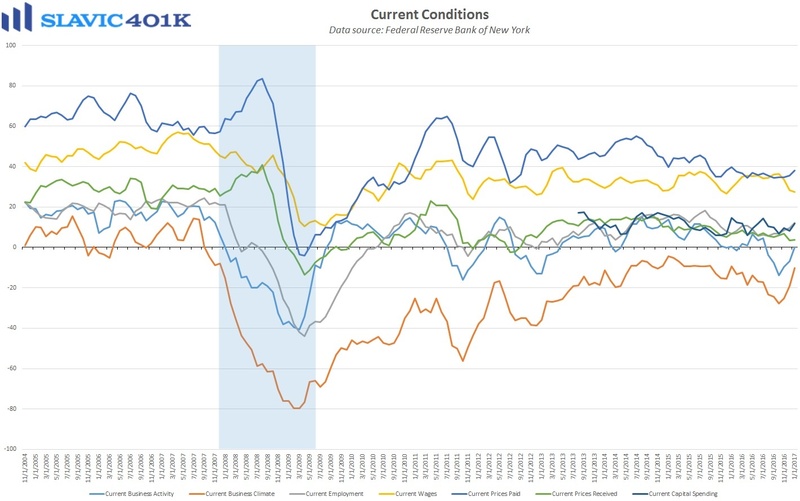 A new survey of business leaders conducted by the Federal Reserve Bank of New York revealed that services sector activity in the northeast region of the country expanded this month for the first time since July. Specifically, the survey’s headline business activity index jumped by eight points to +7.4 in January, the largest sequential gain since September and the third monthly improvement in a row. 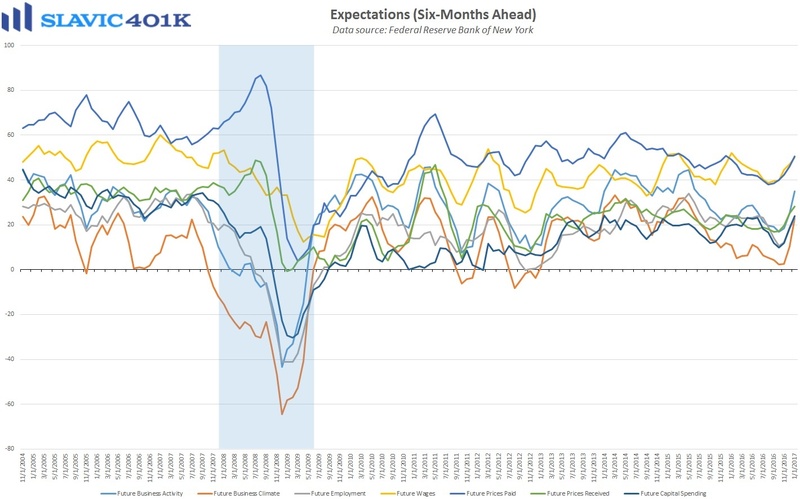 A similar pattern can be seen in current measures of the business climate, employment, wages, and capital spending, and the rise in the forward-looking (6-months ahead) versions of these gauges has been even greater. The broad improvements over the past few months have resulted largely from a combination of an improving economic backdrop, and the anticipation of significant tax reform, reduced regulatory burdens for U.S. businesses, and additional spending on infrastructure and defense under the new administration. Surveyed business leaders, though, have also reported greater inflation pressures recently, and their opinions on the labor market suggest additional margin strain down the road. For example, managers were asked how long it typically took them to fill a job vacancy in 2016, and the median response was 45 days. More than a third (35 percent) of respondents described that figure as being longer in duration compared to the previous year, highlighting a tightening labor market that could drive up wages (employment costs). Moreover, surveyed managers on average expect a typical worker’s wage/salary (not including benefits) to rise by 3.1 percent in 2017. As for new hires, respondents anticipate compensation to grow by 2.6 percent this year, a marked increase from 2.1 percent in the January 2016 survey.